By Car, Train and even Seaplane! 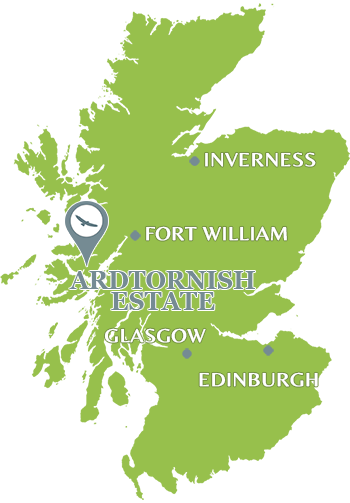 Most of our visitors drive to Ardtornish – either from home, or having taken the overnight sleeper train to Fort William, or flown to Glasgow or Inverness. There really isn’t any other convenient way of getting here. In all of these circumstances the quickest way to drive to Ardtornish is to take the Corran Ferry across Loch Linnhe just 8 miles south of Fort William. The ferry takes about 5 minutes and saves a good hour’s driving around the top of the Loch. The current cost of a one way trip is £8.20 and there are usually two sailings every hour. The latest Corran Ferry Timetable is at this link. As you drive off the Corran Ferry onto the Ardnamurchan Peninsula, turn left onto the A861 and continue straight ahead for 12.5 miles. Turn left off the A861 onto the A884 at the top of Loch Sunart where the turning is signposted to Lochaline and Mull Ferry, and continue straight ahead for 15.7 miles. Turn left off the A884 onto the estate road where the turning is signposted Ardtornish. You are now only a few minutes from your destination. The drive from the Corran Ferry to Ardtornish takes well under an hour. If you get to Lochaline village you have gone a bit too far! Travelling to Ardtornish by public transport is possible, and often involves multiple forms of transport – including train, bus & ferry. If you get your timing right you’ll be sure to embark on one of the most beautiful & adventurous by public transport journeys in Scotland. Route 1. Begin your journey West to Ardtornish in Buchanan Street Bus Station by boarding the Citylink bus for Fort William. You can also board this bus directly at Glasgow Airport should you have flown there first. Take this bus to the Corran Ferry Northbound bus stop which is only a very short walk from the Ferry. Cross as a foot passenger on the ferry and you’ll find yourself in Ardgour on the Ardnamurchan peninsula, around 30 miles away from Ardtornish. You will then have to hitch, arrange a lift from friends or catch the (occasional, timetabled) Shiel Bus which will drop you off at Ardtornish. Route 2. Begin your journey in Glasgow Queen Street railway station by boarding the ScotRail train to Oban. 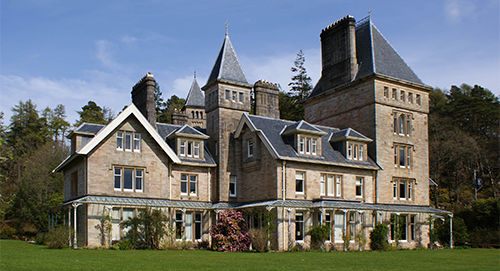 Once in Oban, you are a few minutes walk from the Caledonian Macbrayne Ferry terminal, where you should board the ferry to Craignure on the Isle of Mull. Once on Mull you should take the West Coast Tours coach heading for Tobermory, ask the driver for a ticket to the Fishnish Ferry Terminal. Once at the Fishnish Ferry Terminal cross the Sound of Mull on the ferry to Lochaline. 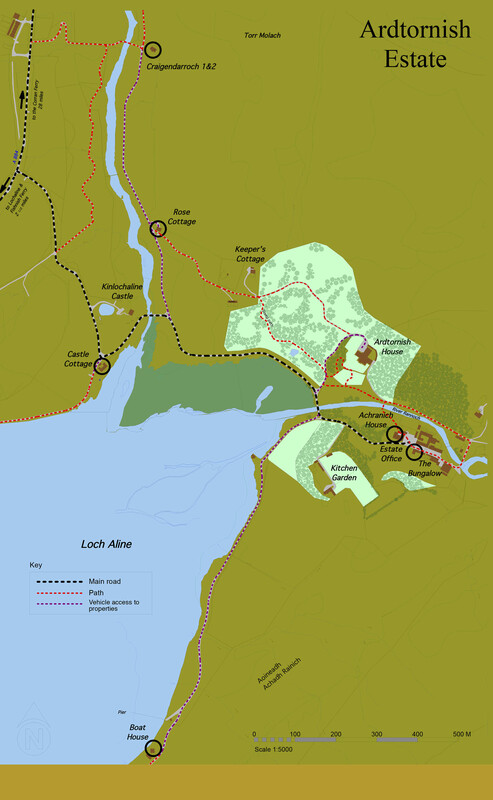 On arrival to Lochaline you are only 2.5 miles from Ardtornish, and will have to walk, hitch a lift, arrange a lift from friends or catch the Shiel Bus which will drop you off at Ardtornish. Or give us a ring and we will come and collect you. If you are planning a trip by public transport to Ardtornish, we strongly advise you to double check your timings – as missing just one connection could cause a lengthly delay or overnight wait. It is a great idea when travelling to Ardtornish to have a plan B up your sleeve in case you end up stuck. The closest airport is Glasgow, but Inverness and Edinburgh are not much further. The airports are served by the main UK airlines including British Airways, EasyJet, Flybe and BMI. An exciting and glamorous chartered seaplane service will take up to nine passengers from the VIP Terminal at Glasgow International to Loch Aline in under an hour. The train journey from Glasgow to Fort William is one of the great train journeys of the world. Scotrail operates the daytime services from Glasgow Queen Street, and Serco runs The Caledonian Sleeper service, between London and Fort William. Waking up on the sleeper as the train winds its way northwards through stunning scenery towards Ben Nevis is a very memorable experience. 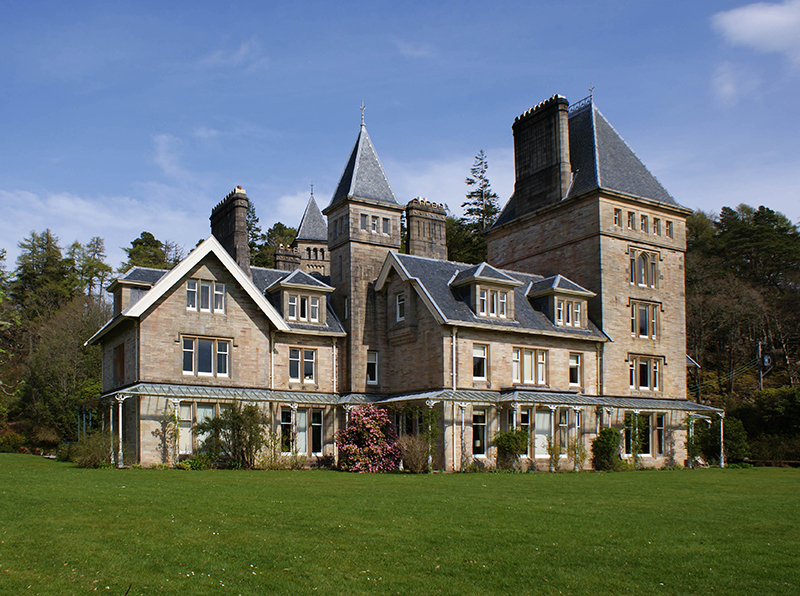 There is definitely a heightened air of excitement in travelling to Ardtornish on the sleeper – we thoroughly recommend it as a gentle alternative to the hustle and hassle of the airport.